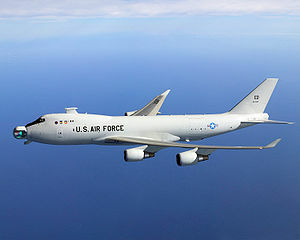 The Boeing YAL-1 Airborne Laser Testbed, (formerly Airborne Laser) weapons system is a megawatt-class chemical oxygen iodine laser (COIL) mounted inside a modified Boeing 747-400F. It is primarily designed as a missile defense system to destroy tactical ballistic missiles (TBMs), while in boost phase. The aircraft was designated YAL-1A in 2004 by the U.S. Department of Defense. The YAL-1 with a low-power laser was test-fired in flight, at an airborne target in 2007. A high-energy laser was used to intercept a test target in January 2010, and the following month, successfully destroyed two test missiles. The Air Force has not requested any further funds for the Airborne Laser and Air Force Chief Schwartz has said that the system "does not reflect something that is operationally viable.” As of February 2011, the US has spent $5.2 billion on the project. The Airborne Laser Laboratory, a less-powerful prototype installed in a Boeing NKC-135A, shot down several missiles in the 1980s. 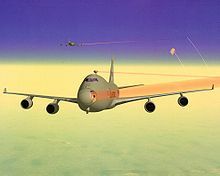 The Airborne Laser program was initiated by the US Air Force in 1996 with the awarding of a product definition risk reduction contract to Boeing's ABL team. In 2001, the program was transferred to the MDA and converted to an acquisition program. The development of the system is being accomplished by a team of contractors. Boeing Defense, Space & Security provides the aircraft, the management team and the systems integration processes. Northrop Grumman is supplying the COIL, and Lockheed Martin is supplying the nose turret and the fire control system. 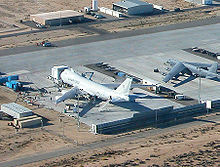 In 2001, a retired Air India 747-200 was acquired by the Air Force, and trucked without its wings from the Mojave Airport to Edwards Air Force Base where the airframe was incorporated into the System Integration Laboratory (SIL) building at Edwards' Birk Flight Test Center, to be used to fit check and test the various components. The SIL was built primarily to test the COIL at a simulated operational altitude, and during that phase of the program, the laser was operated over 50 times, achieving lasing durations representative of actual operational engagements. These tests fully qualified the system so that it could be integrated into the actual aircraft. Following the completion of the tests, the laboratory is being dismantled, and the 747-200 fuselage is being removed. 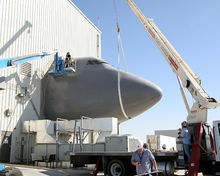 Picture - Contractors dismantle the Boeing 747 fuselage portion of the System Integration Laboratory at the Birk Flight Test Center. Boeing completed initial modifications to a new 747-400F off the production line in 2002, culminating in its first flight on July 18, 2002 from Boeing's Wichita, Kansas facility. Ground testing of the COIL resulted in its successful firing in 2004. The YAL-1 was assigned to the 417th Flight Test Squadron Airborne Laser Combined Test Force at Edwards AFB. Besides the COIL, the system also includes two kilowatt-class Target Illuminator Lasers for target tracking. On March 15, 2007, the YAL-1 successfully fired this laser in flight, hitting its target. The target was an NC-135E Big Crow test aircraft that has been specially modified with a "signboard" target on its fuselage. The test validated the system's ability to track an airborne target and measure and compensate for atmospheric distortion. The next phase in the test program involved the "surrogate high-energy laser" (SHEL), a stand-in for the COIL, and will demonstrate the transition from target illumination to simulated weapons firing. The COIL system was installed in the aircraft and undergoing ground testing by July 2008. In an April 6, 2009 press conference, the Secretary of Defense Robert Gates recommended the cancellation of the planned second ABL aircraft and said that the program should return to a Research and Development effort. "The ABL program has significant affordability and technology problems and the program’s proposed operational role is highly questionable," Gates said in making the recommendation. There was a test launch just off the coast of California on June 6, 2009. 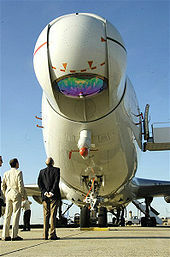 If successful the new Airborne Laser Aircraft could be ready for operation by 2013. On August 13, 2009 the first in-flight test of the YAL-1 culminated with a successful firing of the SHEL at an instrumented test missile. The U.S. Missile Defense Agency (MDA) on August 18, 2009 successfully fired the high-energy laser aboard the aircraft in flight for the first time. The YAL-1 took off from Edwards Air Force Base and fired its high-energy laser while flying over the California High Desert. The laser was fired into an onboard calorimeter, which captured the beam and measured its power. In January 2010, the high-energy laser was used in-flight, to intercept, although not destroy, a test Missile Alternative Range Target Instrument (MARTI) in the boost phase of flight. On February 11, 2010 in a test at Point Mugu Naval Air Warfare Center-Weapons Division Sea Range off the central California coast, the system successfully destroyed a liquid-fuel boosting ballistic missile. Less than an hour after that first missile had been destroyed, a second missile-a solid-fuel design-had, as announced by the MDA, been "successfully engaged", but not destroyed, and that all test criteria had been met. The MDA announcement also noted that ABL had destroyed an identical solid-fuel missile in flight eight days earlier. However, it was later reported in the preeminent industry magazine Aviation Week & Space Technology that whereas the first Feb. 11 engagement required 50% less dwell time than expected to destroy the missile, the second engagement less than an hour later on the solid-fuel missile had to be cut short before it could be destroyed because of a “beam misalignment” problem. Picture - Artist impression of two YAL-1As shooting down ballistic missiles. Laser beams drawn red for visibility. The heart of the system is the COIL, comprising six interconnected modules, each as large as an SUV turned on-end. Each module weighs about 6,500 pounds (3,000 kg). When fired, the laser produces enough energy in a five-second burst to power a typical American household for more than an hour. Picture - The US Air Force says the aircraft holds the world's largest turret assembly. The ABL was designed for use against tactical ballistic missiles (TBMs). These have a shorter range and fly more slowly than ICBMs. The MDA has recently suggested the ABL might be used against ICBMs during their boost phase. This could require much longer flights to get in position, and might not be possible without flying over hostile territory. Liquid-fueled ICBMs, which have thinner skins, and remain in boost phase longer than TBMs, might be easier to destroy. If the ABL achieves its design goals, it could destroy liquid-fueled ICBMs up to 600 km away. Tougher solid-fueled ICBM destruction range would likely be limited to 300 km, too short to be useful in many scenarios, according to a 2003 report by the American Physical Society on National Missile Defense. The ABL system uses infrared sensors for initial missile detection. After initial detection, three low power tracking lasers calculate missile course, speed, aimpoint, and air turbulence. 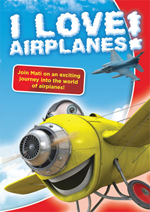 Air turbulence deflects and distorts the laser beam. The ABL adaptive optics use the turbulence measurement to compensate for atmospheric errors. The main laser, located in a turret on the aircraft nose, is fired for 3 to 5 seconds, causing the missile to break up in flight near the launch area. The ABL is not designed to intercept TBMs in the terminal, or descending, flight phase. Thus, the ABL must be within a few hundred kilometers of the missile launch point. All of this occurs in approximately 8 to 12 seconds. 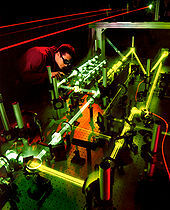 Picture - A technician evaluates the interaction of multiple lasers that will be used aboard the Airborne Laser. The ABL does not burn through or disintegrate its target. 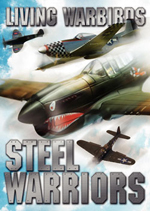 It heats the missile skin, weakening it, causing failure from high speed flight stress. 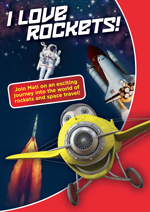 The laser uses chemical fuel similar to rocket propellant to generate the high laser power. Current plans call for each 747 to carry enough laser fuel for about 20 shots, or perhaps as many as 40 low-power shots against fragile TBMs. The ABL aircraft must land to refuel the laser. 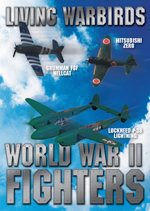 Preliminary operational plans call for the ABL to be escorted by fighters and possibly electronic warfare aircraft. The ABL aircraft would likely orbit near potential launch sites (located in hostile countries) for long periods, flying a figure-eight pattern that allows the aircraft to keep the laser aimed toward the missiles. The aircraft can be refueled in flight, enabling it to stay aloft for long periods. Defense Secretary Gates said that "I don't know anybody at the Department of Defense, Mr. Tiahrt, who thinks that this program should, or would, ever be operationally deployed. The reality is that you would need a laser something like 20 to 30 times more powerful than the chemical laser in the plane right now to be able to get any distance from the launch site to fire. "So, right now the ABL would have to orbit inside the borders of Iran in order to be able to try and use its laser to shoot down that missile in the boost phase. And if you were to operationalize this you would be looking at 10 to 20 747s, at a billion and a half dollars apiece, and $100 million a year to operate. And there's nobody in uniform that I know who believes that this is a workable concept." In theory, the ABL could be used against hostile fighter aircraft, cruise missiles, or even low-earth-orbit satellites (see anti-satellite weapon). However, as they are not its intended target, the capability against them is unknown. The ABL infrared target acquisition system is designed to detect the hot exhaust of TBMs in boost phase. Satellites and other aircraft could have a much lower heat signature, making them more difficult to detect. An analysis by the Union of Concerned Scientists discusses potential ABL use against low earth orbit satellites. Use against ground targets seems unlikely. Aside from the difficulty of acquiring and tracking a ground target, firing through the dense atmosphere would weaken the beam. Ground targets such as armored vehicles are not fragile enough to be damaged by a megawatt-class laser. Another program, the Advanced Tactical Laser, envisions air-to-ground use of a megawatt-class laser mounted on an aircraft better suited for low altitude flight. F. Tarsha-Kurdi, T. Landes, P. Grussenmeyer, E. Smigiel. ”New approach for automatic detection of buildings in airborne laser scanner data using first echo only”. Workshop of the ISPRS. Com III, Photogrammetric computer vision PCV '06 Bonn, Germany 20 - 22 September 2006.